I feel like I’m standing on a diving platform, watching swimmer after swimmer step up to the board, bend their legs into a deep lunge, swing their arms, extend, and then propel into the air, splashing down into the water. Their dives seem effortless, graceful, and each one is unique. I want to step up to the board, too. I want to surge off the edge like a loaded spring. But I keep waiting. I watch to see how each swimmer prepares for his jump or how she dives. I applaud them and take mental notes for what I might do when I make a move. Sometimes I take a step forward, seriously considering walking to the end of that board. But then I talk myself out of it. I’m not ready to dive yet. I’ll look foolish or make a mistake. My long and clumsy legs might even trip off the board before I reach the end. So there I stand, watching. Knowing I have been called to be in that pool. Knowing my feet should be moving. Knowing that this dive matters, but feeling too afraid or perfectionistic or awkward or inadequate. And then an intense kind of fear creeps in like a hazy fog: What if I never step up and dive? That’s how I’ve felt about ministry in the last year or so—like an observer. I watch, and I take notes, and I cheer others on, and I wish that I’d gain the courage to step up and dive. I’m a collector—of ideas and thoughts, feelings and words, pens and notebooks. I keep them until I think I’ve discovered the perfect use for them. They sit in my mind or on my shelves. My intentions are real, but I’m not a go-getter—not even close to a risk taker. 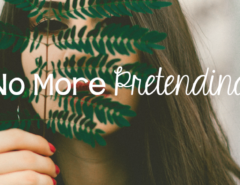 I play it safe and hoard my intentions like knick-knacks that I’ll surely use someday . . .
Other writers are expressing truth so vibrantly. Other ministries are rocking the social media game. I watch them. I cheer for them. Why won’t I step forward, one foot and then the next, in confident faith? Has God called you to a task? Has He presented an obvious opportunity in your life? Are your God-given gifts clear as day? 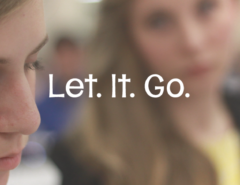 Are you standing on the sidelines, watching others go and do, knowing you should, too? What holds us back? If the opportunity to dive into the pool, so to speak, is right there in front of us, why don’t we count to three and leap in faith? It’s always wise to enter a new opportunity with caution and prayer. We ask for wisdom and guidance from God and godly people (James 1:5–8). But if we aren’t on guard, doubt and worry can slip into the mix. Suddenly, what once was healthy and wise caution has morphed into beastly fear. Then, fear sponsors paralysis. We hold baskets full of excuses and reasons for not getting started; fear keeps the baskets topped off and heavy. We’re rendered inactive and ineffective. And here’s the big pill of truth we must now swallow: This standstill needs a different name—it’s called disobedience. No, I’m holding back out of uncertainty, not out of disobedience, you’re thinking. I know, I’ve been telling myself that for months. But if fear, which is not of God (1 John 4:15–18), is in the driver’s seat, rather than faith in an Almighty God, aren’t we choosing disobedience? We’re Moses with his excuses at the burning bush (Ex. 3:10–15) instead of Caleb ready and willing to take on the land of Canaan in faith (Num. 13:26–30). 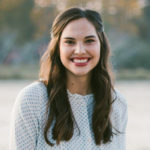 I know the readers of this blog well enough to know that you want to be obedient. You want to go where God calls you to and serve like He has asked you to. 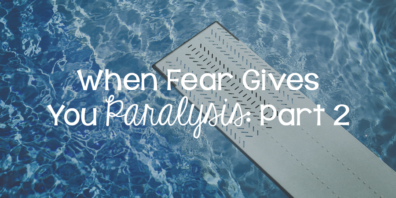 So how do we reverse the paralysis fear gives us and obey, even when we’re afraid? God has been helping me find explore these questions in His Word—specifically in the book of Esther. Visit the blog tomorrow, and we’ll tackle these ideas together. 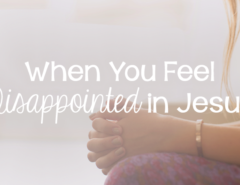 Are there areas of your life where you feel paralyzed, unable to move because of fear? Is there something God has clearly called you to do in His Word that you’re not doing? What is it? What are you afraid of, specifically? If you’re not sure, ask the Lord to help you name your fears and then write them down. We’re all standing on this diving board together. As we dig into God’s Word together tomorrow, I’m praying we find the confidence to swan dive. 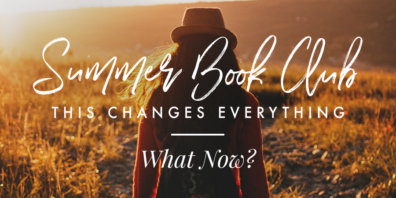 Previous Article Summer Book Club: What Now?